Ruthann has been with Help Unlimited since 2011. Ruthann previously worked as business manager at a local girl’s high school and also a private independent elementary school in Bethesda. She describes herself as a professional volunteer who loves meeting people! 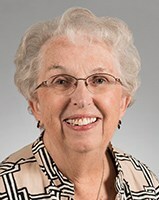 She volunteers for the Rep Payee program, Holy Cross Hospital, Strathmore, and her church.